Villa Rosmarino, Montalto Delle Marche. A lovely B&B / apartment rental. English owners. 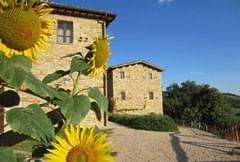 The house is in the valley below Montalto in a secluded location, with private garden and pool. There are 2 rental rooms available (both doubles, ensuite) and both rooms have air conditioning. 20 minutes from the sea. Starting from 75 euro. Minimum stay of three nights. Self catering kitchen available. Casa Delle Sorgenti, Montefiore Dell'Aso. English-run B&B in a stone farmhouse, beautifully restored by the current owners and in a rural setting with swimming pool. Four double bedrooms. Close to the sea. Rooms starting from 50 euros. 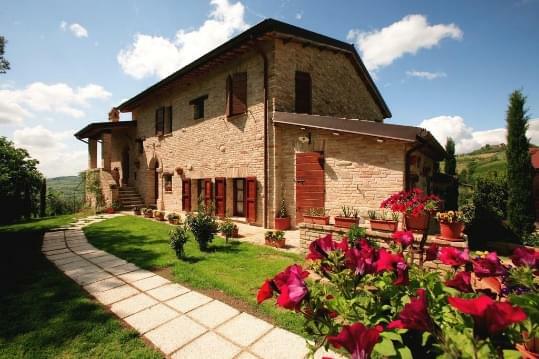 A beautiful country house with 1 apartment and 3 B&B rooms. It is a working farm set within its own vines and olive groves. Rooms starting from 80 euros. 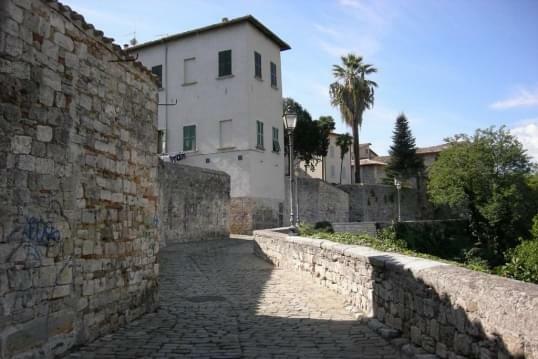 The Language and Art Bed and Breakfast, Ascoli Piceno. Located in a Renaissance period building in the centre of Ascoli Piceno on Dei Soderini street, the oldest street in the city. Weekly rates available. Rooms starting from 122 euros. Ramuse, between Force and Ascoli Piceno. A beautifully restored country B&B run by a renowned truffle hunter, famous for supplying top London restaurants. 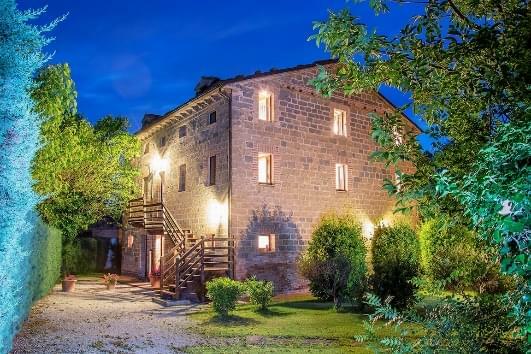 In a peaceful location 30 minutes from both the sea and the Sibillini National Park, there are 4 ensuite double rooms and a suite with 2 bedrooms. Local cuisine is available in the restaurant, and there are special events with cooking and truffle hunting. The private grounds and woodland offer good walking and there is a swimming pool and jacuzzi. 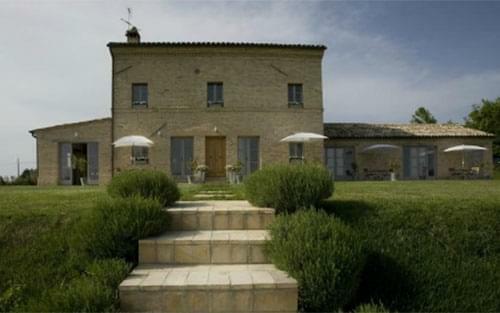 B&B in beautifully renovated farmhouse with pool and stunning views. Four double guestrooms, two with sofabeds for family use. Clients of Magic Marche enjoy a 10% discount. Please speak to Ray or Claire Gorman. Villa dei Priori, Stella di Monsampolo. 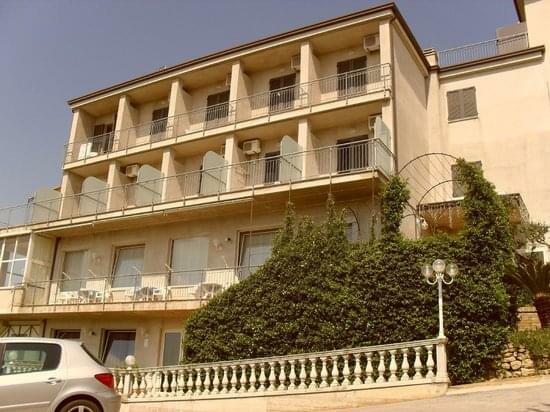 A pretty B&B just outside the resort of San Benedetto del Tronto, set in lovely grounds. Rooms starting from 55 euros. These are country house hotels, where the food served must come mainly from what they grow themselves. Staying at one of these is a lovely experience and a good introduction to the local foods and hospitality of the Marche people. 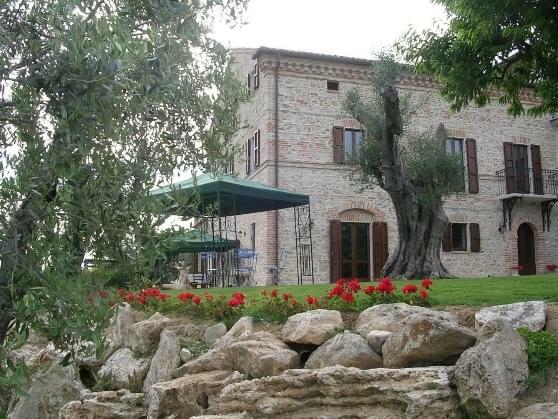 In the south of the region, just above Ascoli Piceno, you will find this splendid Agriturismo with great views, food and swimming pool. Ask for Alessandra or Lorissa and mention Magic Marche to obtain a 10% discount. Visit their website for images and prices. 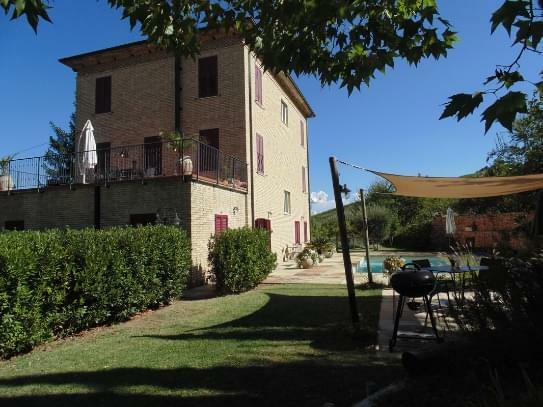 This Italian villa has four very spacious rental apartments, a large swimming pool, extensive landscaped gardens and vineyards, all with absolutely stunning views of the exquisite medieval hill town of Sarnano, the Le Marche countryside and the bucolic Sibillini Mountains and Sibillini National Park beyond. Rooms start from 400 euros a week. 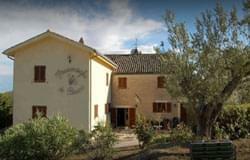 A beautiful Agriturismo (up-market working farm), with guest rooms in a variety of rustic, beautifully restored buildings. Fantastic views across vineyards. 10 minutes from the beach. Big swimming pool. Restaurant. Visit their website: www.lacampana.it Click on the English flag to view the site in English. Click on the left-hand button marked Virtual Visit to see photographs of this delightful collection of buildings... and the pool. Clients of Magic Marche enjoy a 10% discount, so mention this when you book. Il Nascondiglio di Bacco (Bacchus Hide Out), Offida. 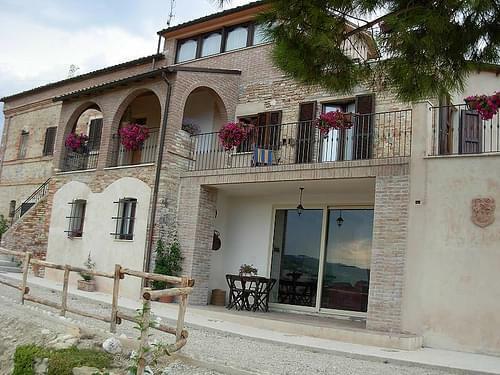 In southern Marche, just 25 minutes from the beach at San Benedetto del Tronto. This peaceful venue offers the visitor splendid views with good local food and wine if required. Fluent English is spoken. Rooms starting from 65 euros. 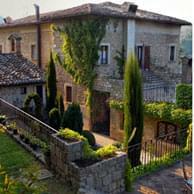 Madeline & Tim Jones will introduce you to their intimate boutique style hotel situated in the picturesque hilltop town of Montelparo. The hotel, in the historic centre of the town, has been thoughtfully restored and retains the charm and character of the original building. The hotel's facilities include an original vaulted ceiling restaurant with a garden courtyard dining area, an intimate lounge and an art deco bar leading to a large terrace with stunning panoramic views. Beyond the courtyard there is a beautifully landscaped garden area with an inviting swimming pool to relax and enjoy the tranquil setting. Hotel Leone exudes warmth and intimacy: its 8 individual en-suite bedrooms / suites have their own distinctive personality with traditional furniture and opulent furnishings blending style with modern comforts to ensure a memorable experience. Rooms hotel around 280 euros. 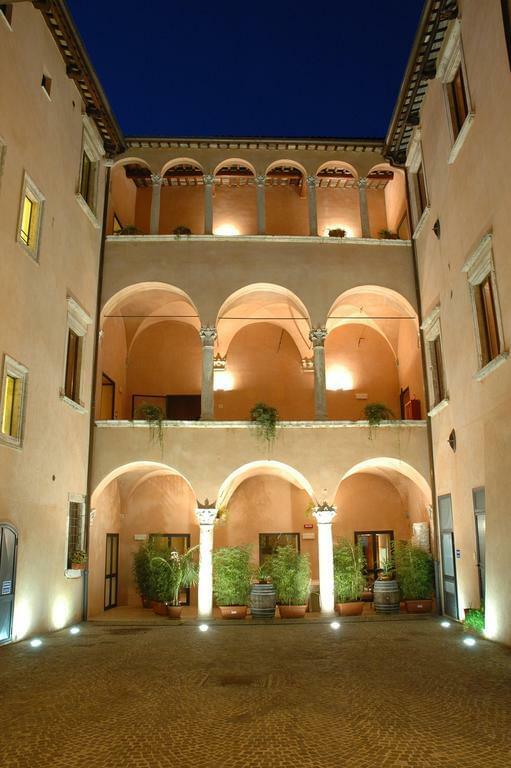 Hotel Palazzo Guiderocchi, Ascoli Piceno. 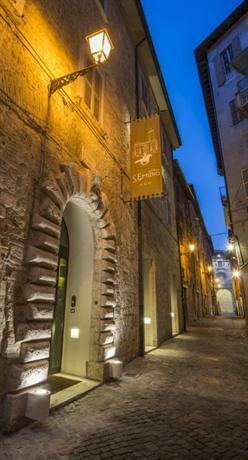 A beautiful hotel in the centre of Ascoli. Magic Marche clients enjoy a discount here. Late booking (after 9.00 p.m.) and Sundays are offered at huge discounts . Rooms starting from 70 euros. Hotel Albergo Piceno, Ascoli Piceno. The building has been restored to its original beauty and offers all modern services: whirlpool shower or bathtub, air-conditioning, safe, minibar, internet connection. A Relax Room with Teuco whirlpool, cyclette and step. Everything to give guests warm hospitality and an unforgettable stay. Magic Marche clients enjoy a 10% discount here. Address: Via Minucia 10, 63100 Ascoli Piceno . Castel di Luco, Ascoli Piceno. Mediaeval castle (11th century) surrounded by Picenum woods with 4 suites and a restaurant that offers excellent wines and traditional local dishes. Address: 63040 Acquasanta Terme, Ascoli Piceno. 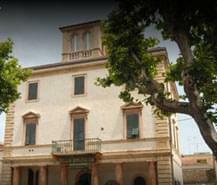 This hotel is an elegant 19th century villa in the centre of Grottammare. There are 15 rooms and a suite which has a private roof terrace. Address: Via Salvi, 9 – I – 63013 Grottammare. Luxurious and stylish hotel with swimming pool and beautiful Italian garden. There are 11 bedrooms and one suite, all with air conditioning and wifi. A medium-sized, simple, no-frills hotel with swimming pool, air-conditioning and a free shuttle bus to the beach and the station in the summer months. It offers good value accommodation and food. Clients of Magic Marche enjoy a 10% discount. Rooms starting from 40 euros. 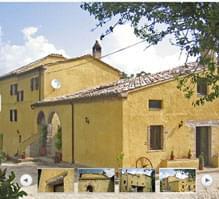 Self-catering apartments in the foothills of the Sibillini Mountains. Suitable all year round, with two large swimming pools and just 15 km away from the ski slopes at Sarnano. The estate owners offer guided walks, bike tours, and courses in cooking and photography. Discounts are often available out of the high season. Rooms starting from 30-40 euros. 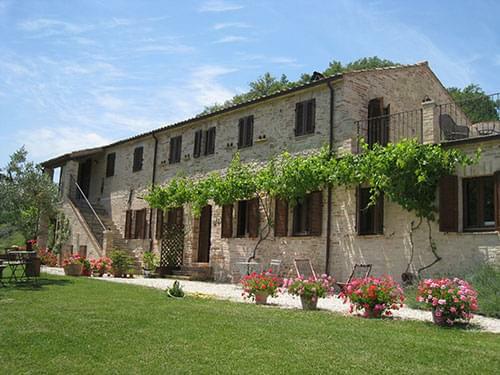 Self-catering apartments set within a farmhouse in the rolling countryside between Macerata and Fermo. The accommodation is highly rated, and offers very well-equipped apartments each with its own private, furnished terrace or garden. Some apartments have open fireplaces for the cooler months. 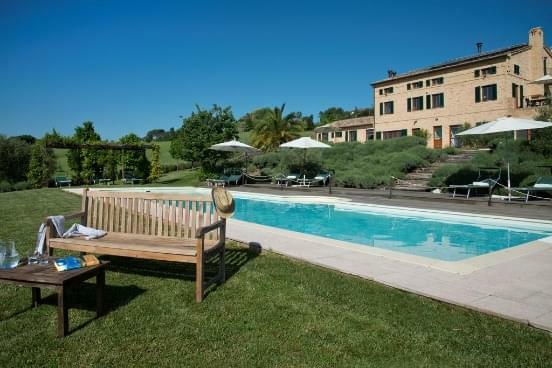 There is a large, beautiful pool and the English owners offer pizza evenings, airport collection and free use of the produce from their vegetable garden. 3 days accommodation starting from 252 euros. Clients of Magic Marche receive a 10% discount outside of July and August, mention this on booking to Ian Richards. Casale del Levriero, Montefiore Dell'Aso. 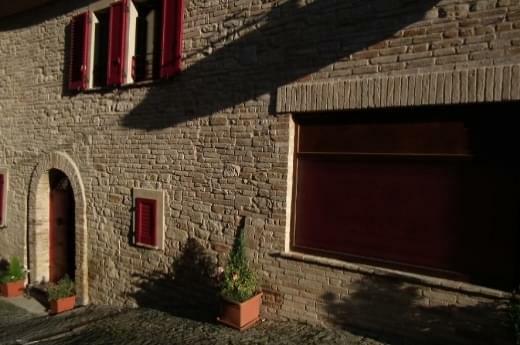 Holiday apartments in the farmhouse of a former Benedictine monastery. The property is set within olive groves and vineyards and there are panoramic views of sea, hills and mountains. Locally grown produce always available. There are two apartments, each sleeping up to 4 people, and with its own terrace.